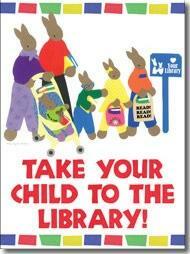 Take Your Child to the Library! Saturday, February 7th from 9:30 am -1 pm. There will be ongoing activities throughout that time and story time at 10:30.